We are thrilled to introduce the wonderful Daniela to you guys – she’ll be a regular on The Daily Dose as our fashion expert, bringing you new looks and trends we’re currently loving! For our first collaboration with the stylish lady we have decided to talk about flowers. Big, beautiful flowers! Because if there is one thing that should definitely not be missing from your closet this summer it is a pair of silky pants or a cute blazer with a colorful flower print on it. Dani decided to make a flowery statement with these gorgeous overalls from ZARA. 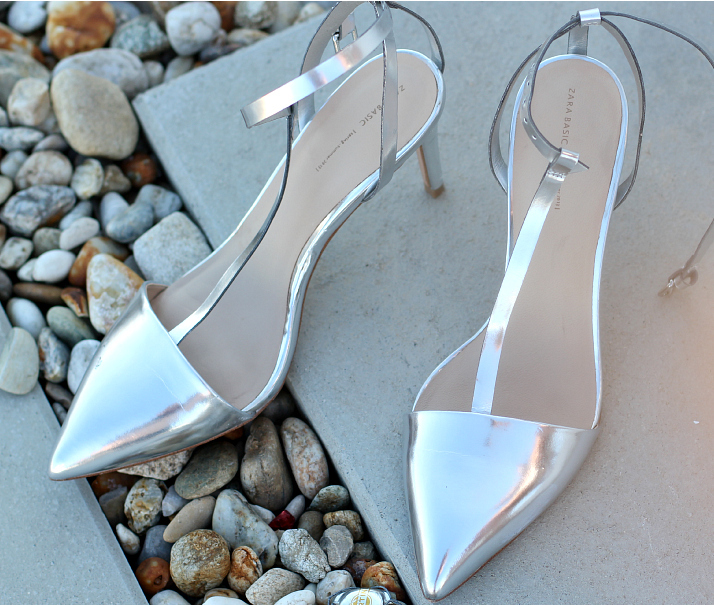 Paired with a few silver accessories and heels this look can easily work for a night out, but you can also dress it down with some cute sandals and mirrored aviators. If the overalls are too much for your taste, or you think you can’t pull them off – try styling the outfit with a pair of skinny jeans, a white tee and a subtle flower-print blazer or chiffon scarf. To steal this look, simply click on the products in the image below. 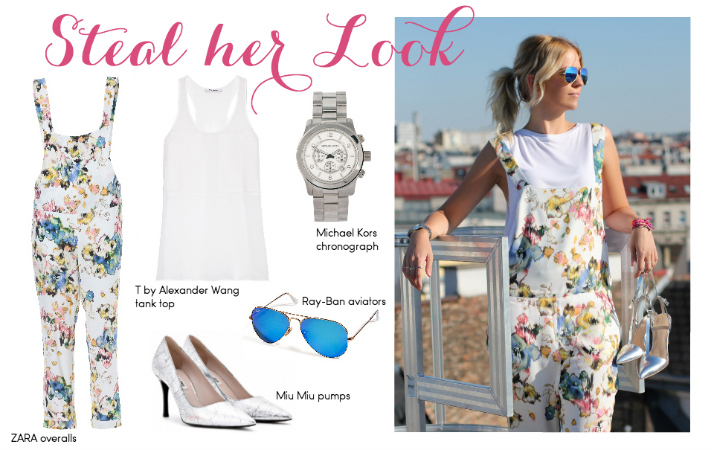 And if you decide to steal her look, we’d love to see your take on flowers for summer! Simply use the hashtag #stealherlook to show us. For more of Dani’s fabulous style, be sure to follow her on Instagram. Ich liebe dieses Outfit! <3 Dani hat wirklich ein ganz tolles Gespür für Mode und Style! !